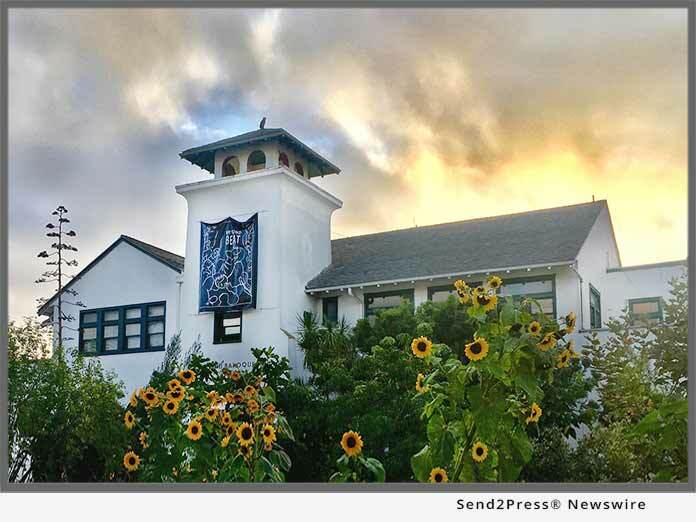 VENICE, Calif., Oct 04, 2018 (SEND2PRESS NEWSWIRE) -- A historic lineup of L.A.'s leading artists, performers, poets and authors will salute Beyond Baroque Literary Arts Center ("Beyond Baroque"), the city's legendary literary center, at its 50th anniversary "Bohemian Bacchanal" on Saturday, November 10. The gala event, located in the Venice Arts Plaza, features a dinner and will be highlighted by presentations honoring actor/poet Viggo Mortensen, a long-time supporter of the non-profit organization, and award-winning poet Will Alexander. The evening also pays tribute to Beyond Baroque founder, George Drury Smith. Among the performers slated to take the stage are John Doe and Exene Cervenka (who first met at Beyond Baroque and formed the iconic LA band X); John Densmore, founding member of The Doors; legendary jazz trumpeter Bobby Bradford; Chris D (Divine Horsemen; Flesh Eaters); Julie Christensen (Divine Horsemen; Leonard Cohen); and poet Kamau DaÃ¡ood, among others. "We'll celebrate 50 years of Beyond Baroque with an evening of art, music, poetry, wine, and revelry," said Beyond Baroque director Richard Modiano, "and we invite the community to join us in honoring our dear friend, actor Viggo Mortensen for his selfless support, and our visionary poet-in-residence Will Alexander for his profound achievements in expanding the artistic possibilities of language." The event includes a live and silent auction offering rare literary artifacts from Beyond Baroque's archive, and more than 30 works of art from some of the world's most notable artists, including Ed Ruscha, Gronk, Raymond Pettibon, Shepherd Fairey, and Francisco Toledo. Items donated by the Venice business community will also be auctioned. Attendees are invited to tour the landmark arts complex surrounding the former Venice City Hall (now occupied by Beyond Baroque) including unique sustainable landscaping curated by Kiss The Ground and Safe Place for Youth, enjoy cocktails in the Poet's Garden and artwork in the Mike Kelly Gallery, and explore the unique collection of poetry and literature for sale in the bookstore. SATURDAY, NOVEMBER 10, 2018 at 5 P.M.
* Gala event branding, branding throughout Beyond Baroque Days and other year-round opportunities in Beyond Baroque programming. Beyond Baroque Literary Arts Center is one of the nation's most successful and influential grassroots incubators of literary art. Founded in 1968, and housed in the original Venice City Hall building in Venice, California, it is a 501(c)(3) nonprofit public space dedicated to cultivating new writing and expanding the public's knowledge of poetry, fiction, literature, and art through cultural events and community interaction. The Center offers a diverse variety of literary and arts programming, including readings, workshops, art exhibits, and education. The Center also houses a bookstore with the largest collection of new poetry books on the west side of Los Angeles; the Mike Kelley Gallery, which specializes in text and language-focused visual art; and a 50,000 volume archive of small press and limited-edition publications that chronicles the history of poetry movements in Los Angeles and beyond. Beyond Baroque's mission is to encourage the writing, reading, publication, dissemination, and preservation of contemporary literature through programming, education, archiving, and services in literature and the arts. Learn more: http://beyondbaroque.org/.